An annual is a type of flower that completes its life cycle in only one growing season. Annuals germinate, grow, flower, seed and then die. Planting areas are determined by temperature and the United States Department of Agriculture’s (USDA) hardiness zone map. Plants are used as annuals in zones where it is too cold for them to survive below certain winter temperatures. Some of these same plants can be considered perennials, or plants that will come from the root every spring, in warmer hardiness zones. Flowering Tobacco, or Nicotiana alata, is a popular annual for its beautiful fragrance that is especially prevalent at night. Its trumpet-shaped flowers bloom all summer in a variety of colors including pink, purple, white and red. The plant remains upright and can grow from 12 inches to 4 feet high. Flowering tobacco prefers full sun and well-drained soil. It is excellent for garden beds or container planting. 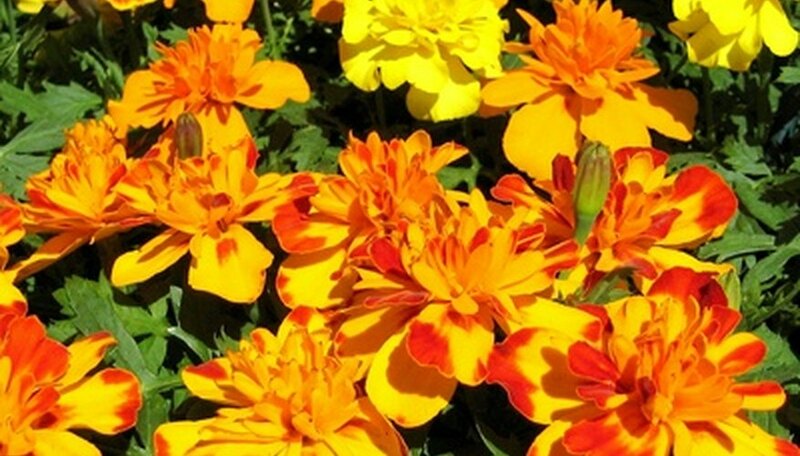 Marigold, or Tagetes erecta, is a well-liked annual that comes in many cultivars. The flowers are primarily yellow and orange, and bloom from May until the first frost. They prefer full sun and moist, well-drained soils. They can grow up to 3 feet tall. 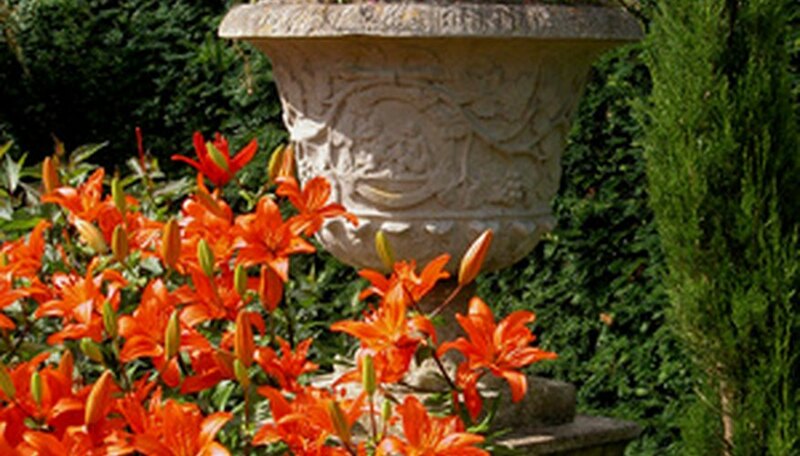 The varieties range from short to taller. The mid-sized plants are great border or container plants. The taller varieties usually need some support, especially in windy conditions. They do well if deadheaded after blooms die. They attract butterflies. Petunia x hybrida is a favorite summer annual. There are many varieties to choose from including the ever-popular Wave petunia. This variety cascades over a container or hanging basket. 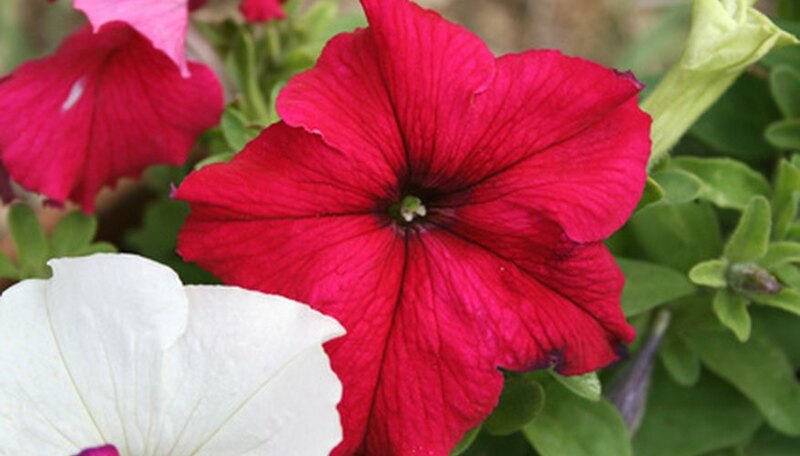 Petunias come in any color from pink, red, purple or white to yellow and even salmon. They bloom May to October and the red colors in particular attract hummingbirds. They prefer full sun and grow 6 inches to 3 feet. Known scientifically as Zinnia elegans or Zinnia marylandica, these flowers grow 8 to 36 inches and prefer full sun and moist, well-drained soil. They bloom all summer until the first frost in cold winter zones. 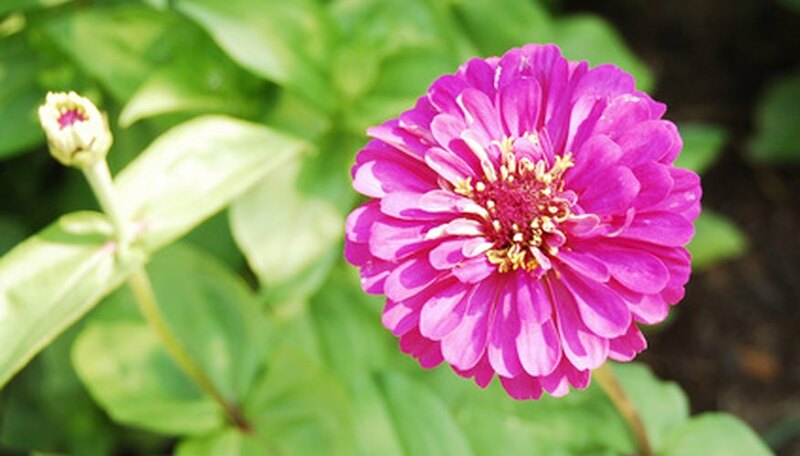 Zinnias come in a variety of colors including green, lavender and red. They are great for containers or gardens. Zinnias are good cut flowers because of their large blooms that grow up to 4 inches in diameter. To help ensure continuous blooming, deadhead spent flowers regularly. University of Illinois Extension: What Is an Annual?